Today’s retirement planning landscape is filled with uncertainty. 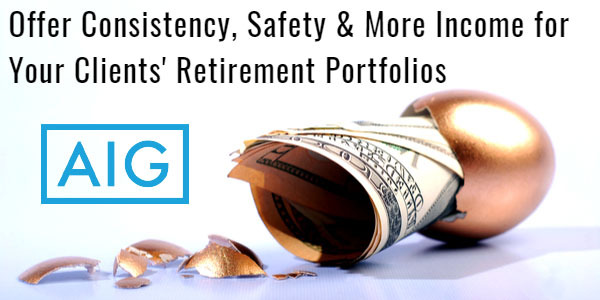 Please join CPS and AIG for a lunch meeting to learn more about how you can offer your clients more consistency and safety with AIG’s retirement accumulation-focused annuity portfolio. We will also be discussing ways you can help those clients transition to income planning by offering some of the highest income guarantees out there in the annuity marketplace. New, innovative income annuity designs are available through CPS and AIG – this is a meeting you do not want to miss. Click HERE to register to reserve seat today!